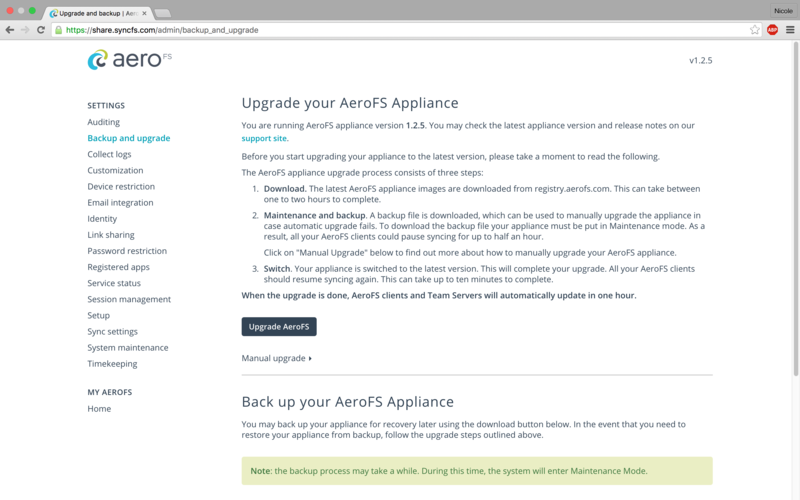 To upgrade your AeroFS appliance and take advantage of the latest and greatest AeroFS features, please follow the steps outlined below. Please note that you need 10GB of free disk space. In the event the automatic upgrade fails, a backup file will automatically download. This backup file will be used in the manual upgrade process. Log into the Appliance Management Interface. Navigate to the Backup and Upgrade page by clicking the Backup and Upgrade link under Settings. 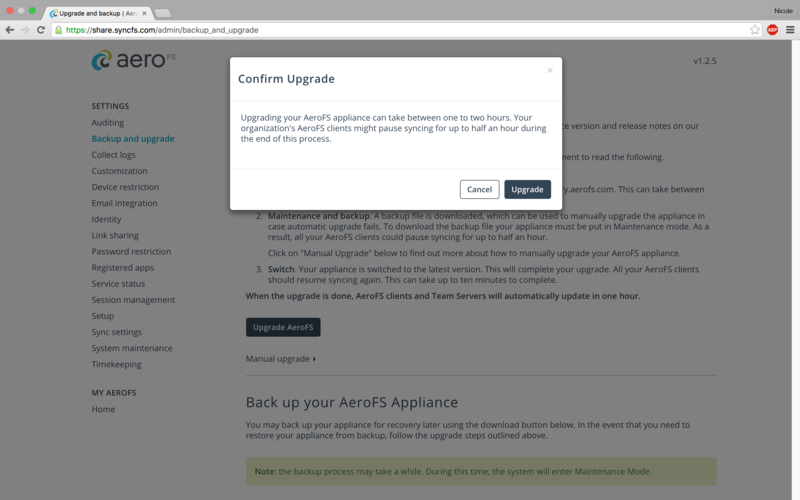 Click the Upgrade AeroFS button to start the upgrade. A confirmation dialog should appear. Click Upgrade. The following dialogs will report the progress of the upgrade until it completes. Contact us to obtain access to the root shell of your AeroFS Appliance. Note that an "upgrade failed" is normal, and indicates that no upgrade is available at this time. More information is available in this thread and in the CoreOS documentation. How Do I Upgrade My AeroFS Appliance Using the Manual Upgrade Process?